It’s a few days after Christmas 2015, and I couldn’t be farther from my New York City apartment. 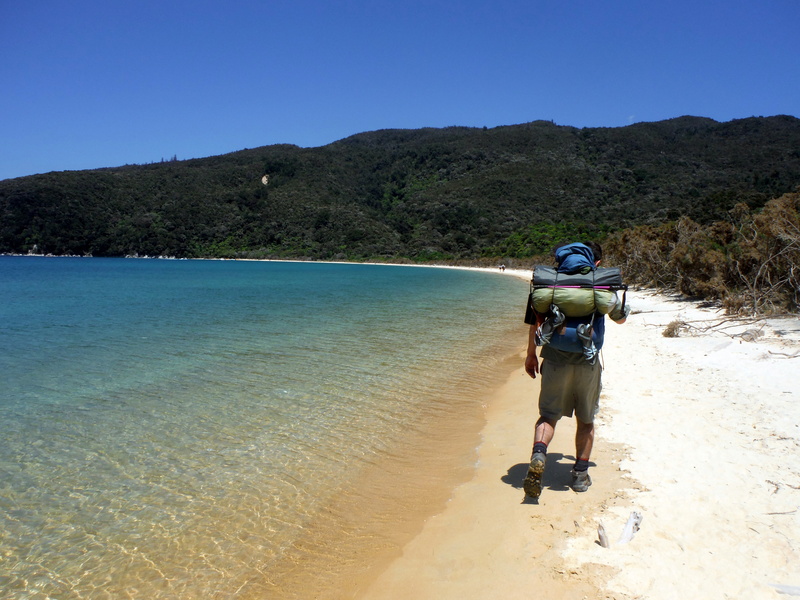 I’m walking on a pristine beach, admiring the turquoise water as it laps in gentle, tiny swells onto the shore. My hiking boots are heavy in the white sand, so I’m trying to find the sweet spot on the firmer ground created by the waves before it transitions to a weaker, more saturated slop. My boots are technically waterproof, but I don’t want to push it by allowing the quick moving tide a chance to poke her fingers down my socks. On my back is my trusted, beloved Osprey. 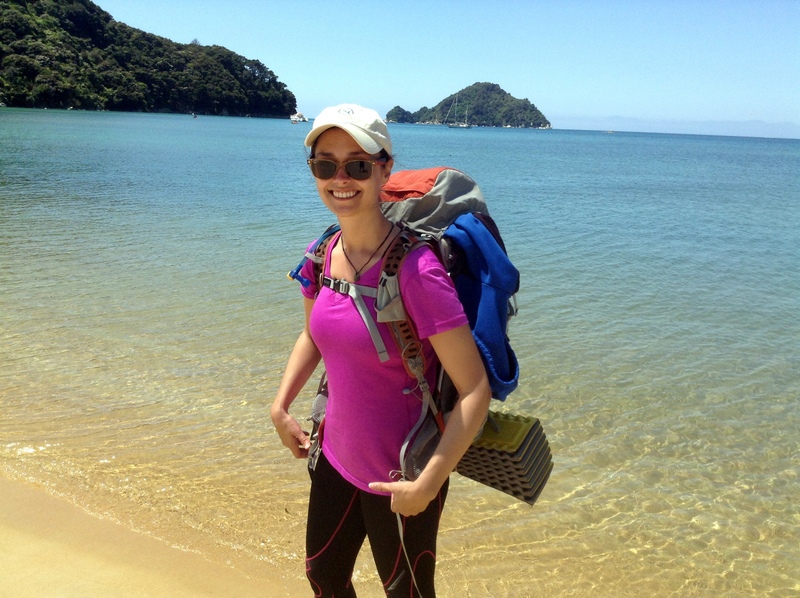 This pack has come along on all of my overseas adventures since I graduated college – broken in on the Camino de Santiago, guarding my belongings in Mexico and Nicaragua, and now resting comfortably across my shoulders inside Abel Tasman National Park on the south island of New Zealand. 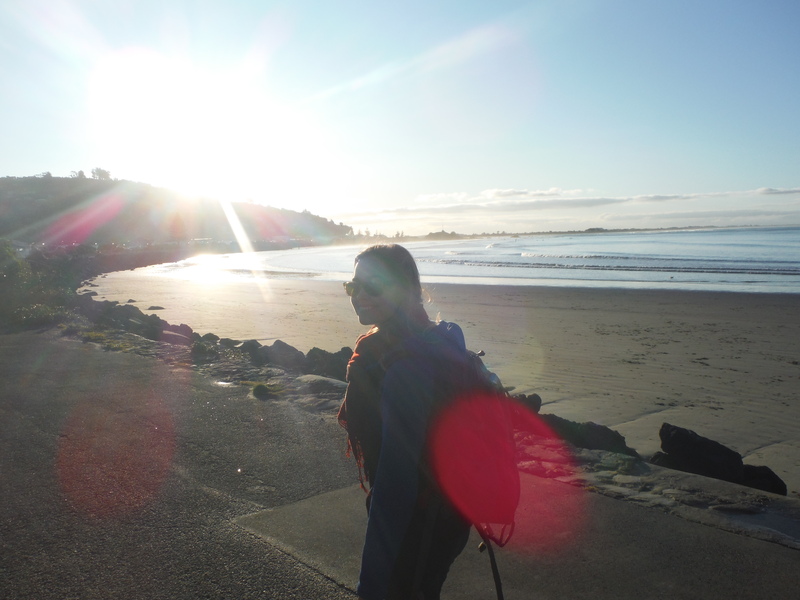 2015 had been one of my hardest years to date – grad school turned out to be quite a challenge not just intellectually, but physically and emotionally as well. And yet the stresses of the year were far from my mind and body on this day. 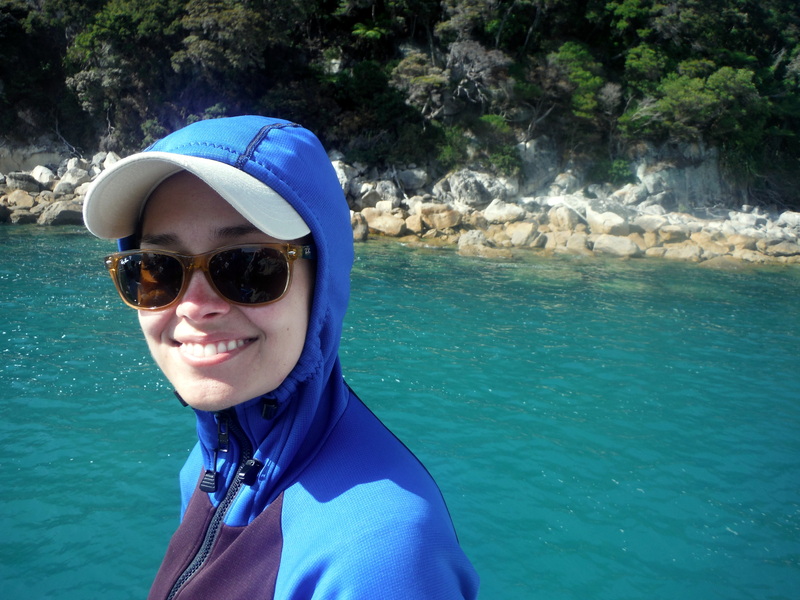 On this day I felt strong, relaxed, happy. In case you haven’t caught on single reader, my New Zealand ‘friend’ Tom and I are a little bit more than friends. We had been dating for over a year when I traveled to New Zealand for the second time to spend the holidays with his family. Earlier in December Tom’s mother celebrated a landmark birthday, and asked her children for only one thing: to come together. 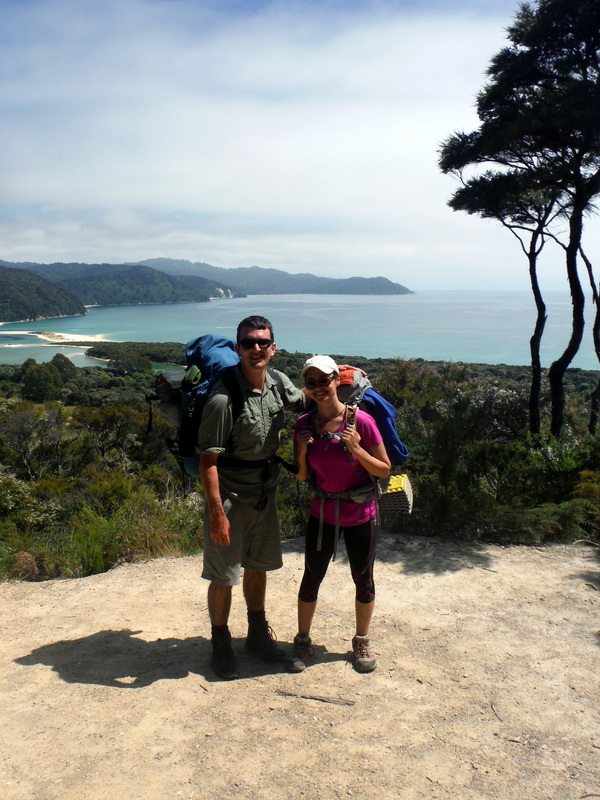 Tom and his two siblings are quite the nomads, so once the tickets were confirmed the planning began for the first full family vacation in quite some time: a commemorative birthday hike on the Abel Tasman Track. I highly recommend dating a Kiwi. One of the many upsides is getting invited to awesome family outings like this one. 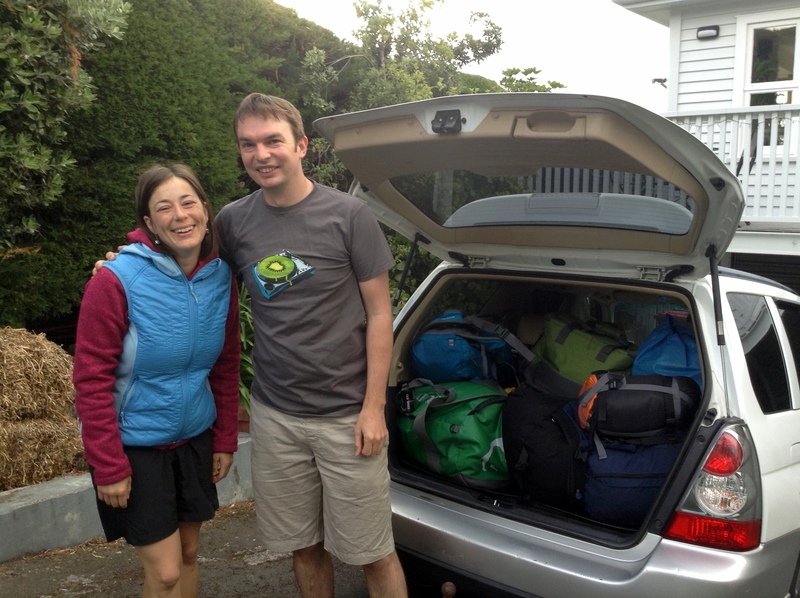 And so our group of parents, siblings, and significant others came together early on the morning of the 27th to make the long drive from the family home in Sumner to Kaiteri, just south of Abel Tasman National Park. Jacob and Ursula strike an early morning pose. Does this car look familiar? It transported us safely on our 2 week roadtrip back in August 2015. If New Zealand has a weakness, it’s that its striking geography makes covering long distances a bit more tiresome than most of the road trips the wide, straight highways of the U.S. allow for. While as the crow flies the distance between Sumner and the park is not huge, winding roads meant a 6 hour drive to our destination for the night. But ever a lady, most of the twists and turns New Zealand requires of its drivers are met angle for angle by breathtaking views. This drive was no exception. 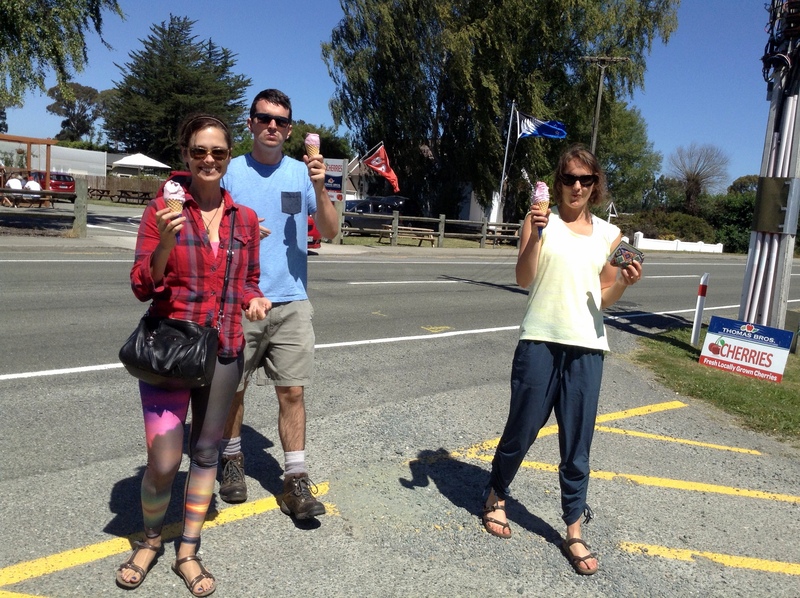 And the best part about road tripping in New Zealand in the summer? 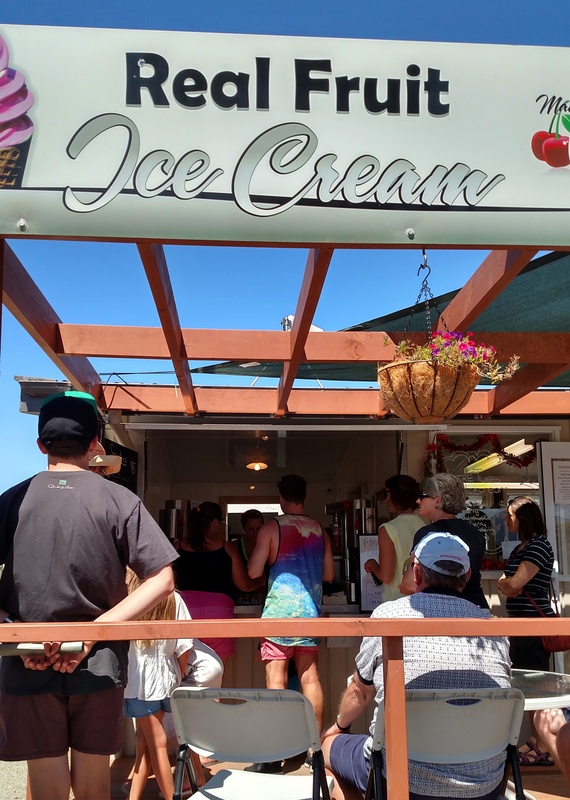 Dozens and dozens of opportunities to pull off the road for a fresh, made-in-front-of-you real fruit ice cream. We were almost to our endpoint before my trusty driver pulled over for one, but it was definitely worth the wait. 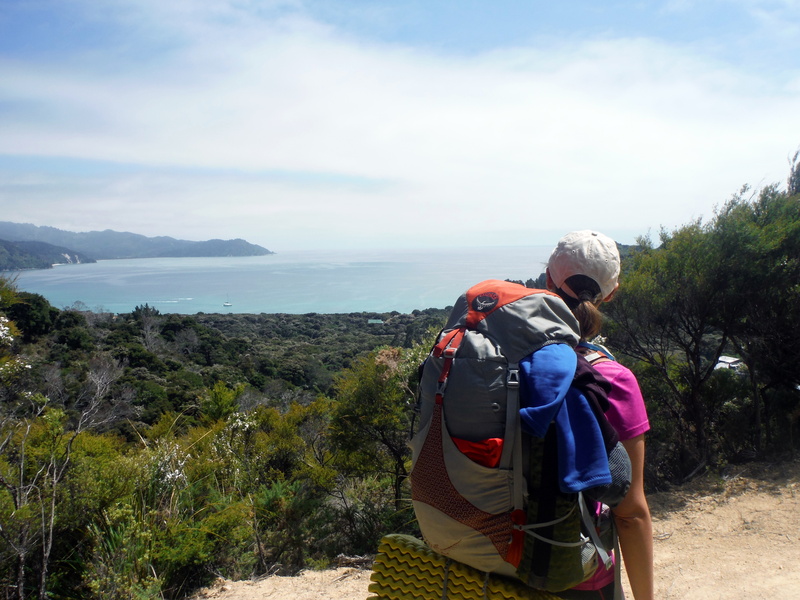 We stretched our legs from our long drive at the beach in Kaiteri – a popular holiday destination for visitors to the park. 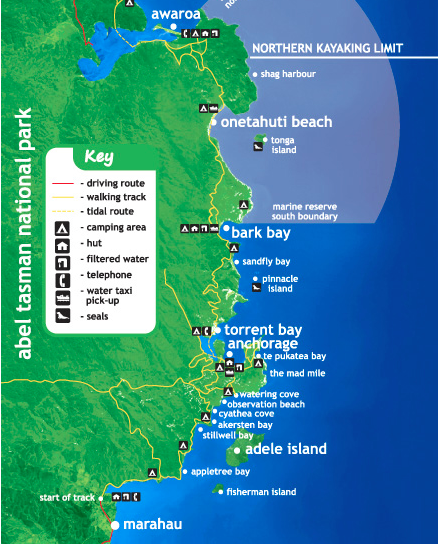 There are very few roads inside Abel Tasman National Park, and so most revelers enter via one of the pristine bays by boat. Many keep their vessels near Kaiteri for these occasions, or else board one of the ferries or water taxis that regularly shuttle guests from bay to bay. 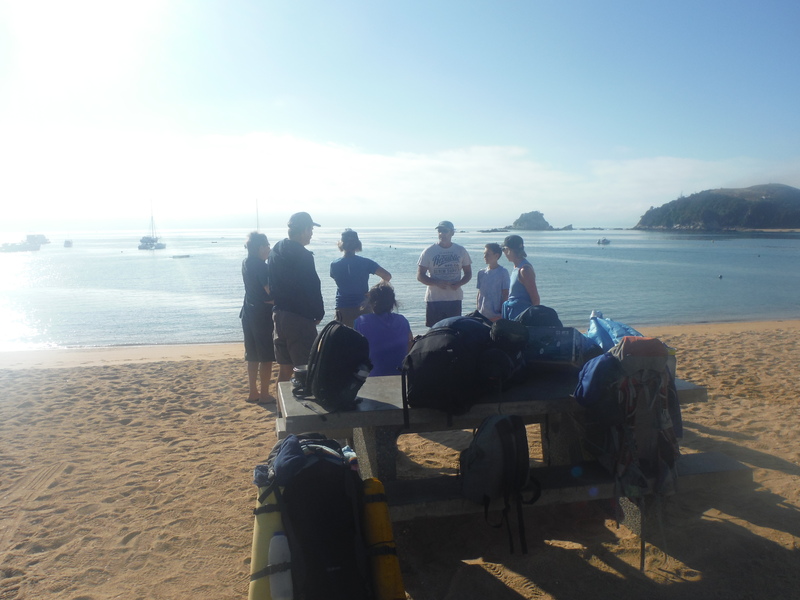 The crew relaxing at the beach in Kaiteri. 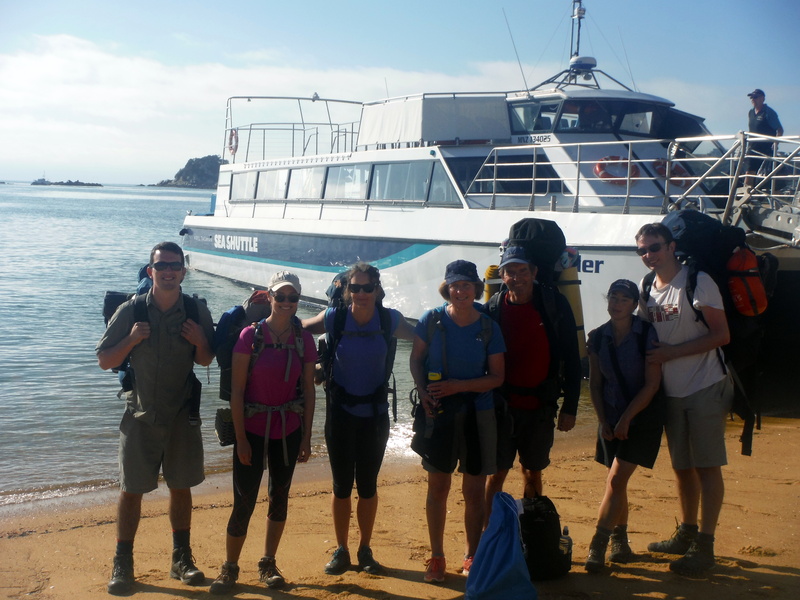 As for us, we planned to board a ferry first thing the following morning to a spot farther north, where we would then treck south for three days until we reached the town of Marahau, which sits right at the border of the park. So after celebrating the birthday of a family friend at a nearby bbq, we crawled into our sleeping bags in our campsite in Kaiteri and called it an early night. First thing the following morning we were up and packing, smoothing out the final details of the trip. Packs needed to be arranged, cars needed to be parked, ferry tickets needed to be bought and stomachs needed to be filled on this crisp summer morning. We gathered on the beach sucking on the sweetest fresh apricots while we waited for our boat. 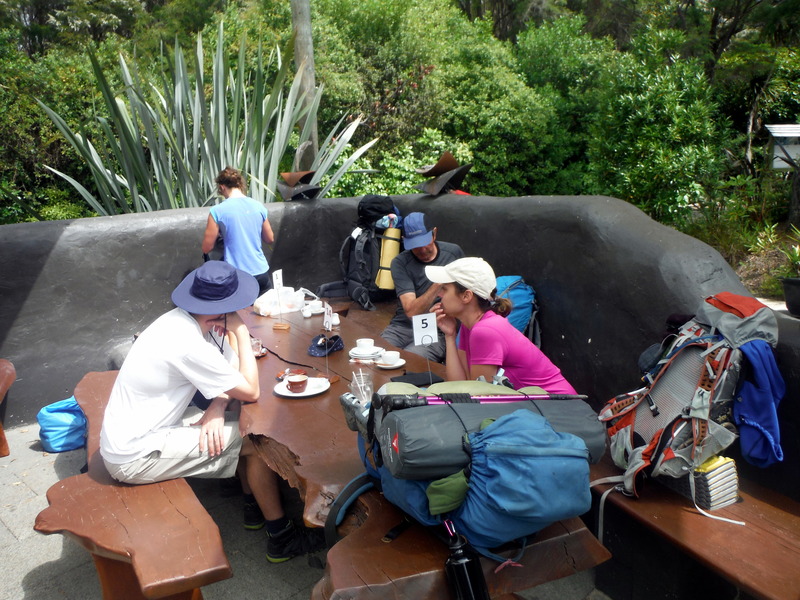 Then we joined the line of backpackers and day trippers to board the ferry and take a seat on the roof to get a good view of the walk we had ahead. It was a chilly but beautiful ride! 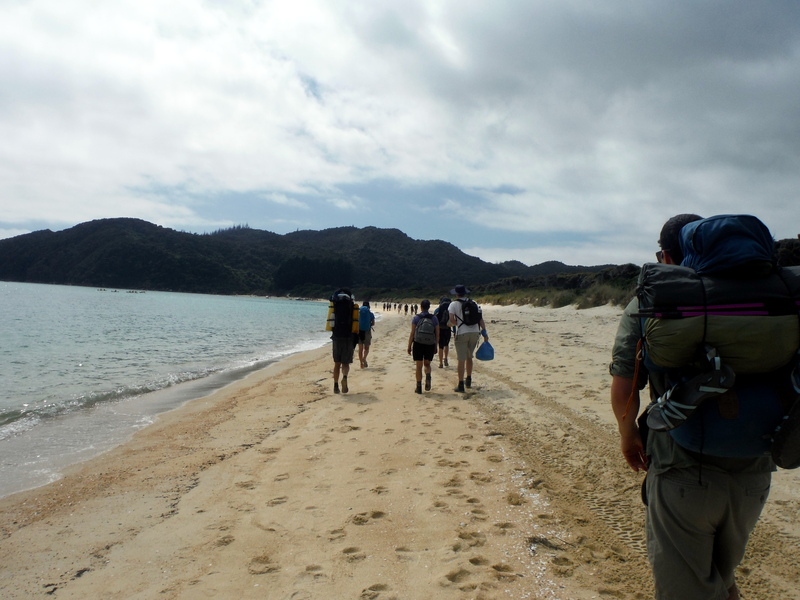 An hour or so later we found our feet in the sand for the second time that day as we disembarked at Awaroa – our starting point for the track. After the long boat ride we were rearing to go, but we found ourselves stopped in our tracks. Much to my surprise there was a lodge and coffee shop just off the beach, and with three days of few amenities ahead… well, can you blame us? Of course we had to stop for a last minute fuel-up! Well, just one last stop! Our false start behind us, it was almost afternoon before we finally began our walk for the day. Almost immediately the trail climbed up ahead of us, and within the first hour we found ourselves at our first high point and so our first panoramic view. It would be the first of many, but maybe because it was the first, it was one of the sweetest. The scene with which this post opened occurred maybe an hour after that. 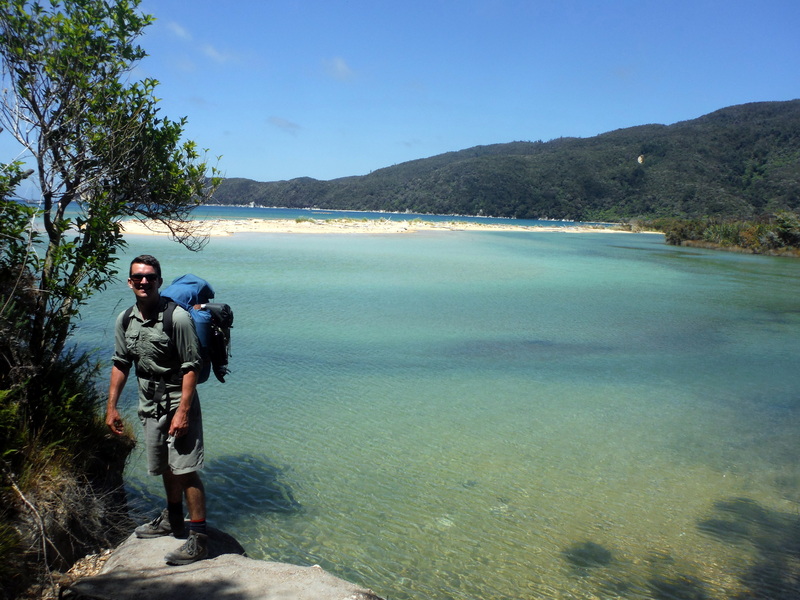 Having descended the forested ridge we found ourselves at sea level again almost by surprise after rounding a corner. 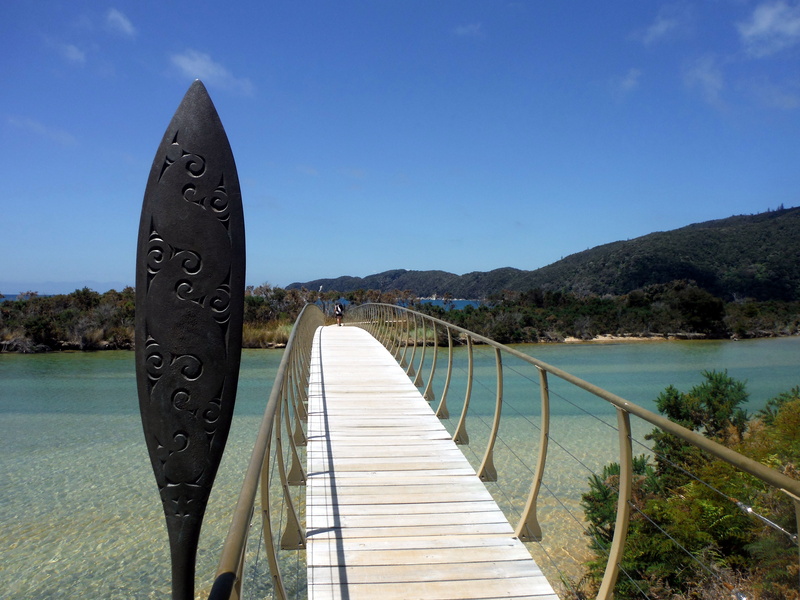 A beautiful boardwalk guided our way over an estuary until we found ourselves on the first proper beach crossing of the trip. By that point the previously cloudy and cool morning had cleared to a warm, blue sky day – and I couldn’t stop smiling. 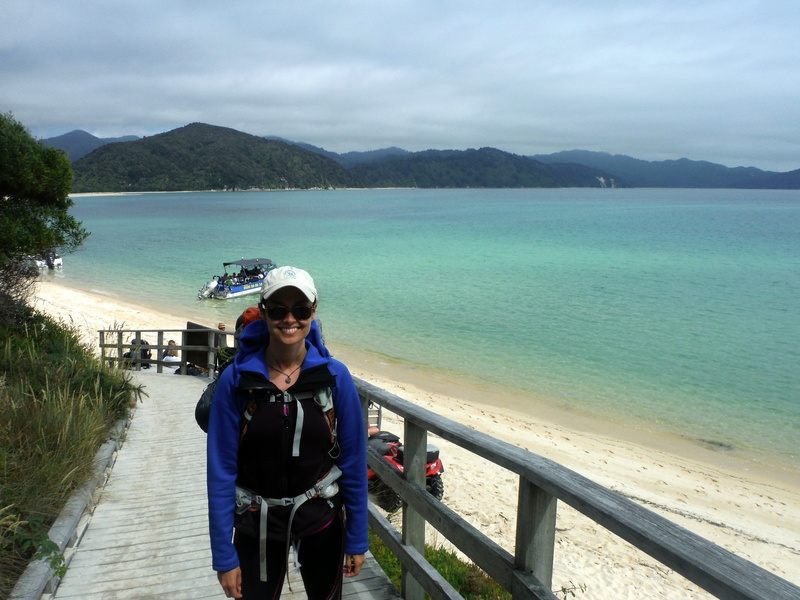 This was Onetahuti Beach, and we weren’t yet halfway through our hike for the day. And I couldn’t care less. With a view like this, I could walk forever. glad you share you adventures so we can see what we are missing.